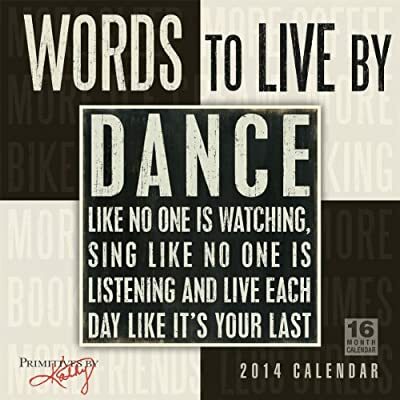 The Words to Live By calendar features the best-selling designs from Primitives by Kathy. The straightforward and simple sayings on these vintage-looking signs have a broad range of appeal. We've chosen the best of Kathy's popular designs to encourage and inspire you with understated elegance.